Manchester United are reported to have made Italy winger Federico Chiesa one of their transfer priorities this summer. According to the Corriere dello Sport, United are one of a number of clubs keeping a close watch on the 21-year-old, with Inter Milan and Juventus also seemingly at the front of the queue. But Bayern Munich, Real Madrid, as well as Manchester City are also firmly in the hunt to sign the Fiorentina star. However, il Corriere dello Sport reckons United have placed the 21-year-old at the very top of their summer shopping list. Interim manager Ole Gunnar Solskjaer is readying plans for a summer overhaul, with the next United boss reportedly set to be handed a £200m warchest to push for Premier League glory. United have Napoli defender Kalidou Koulibaly at the top of their wanted list and the potential signing of the Senegalese defender and Chiesa could account for the best part of £150million. But United could offset some of their cost by allowing Alexis Sanchez to move on. The Chilean remains one of the club’s great conundrums: despite an excellent display in the FA Cup win at Arsenal last month, the player has rarely shown his best form at United, inspite of the bounce several players had felt since the arrival of Solskjaer. And amid reports the player is still looking to move on, United could well be ready to replace the former Barcelona man with the capture of the more mobile and seemingly more consistent Chiesa. 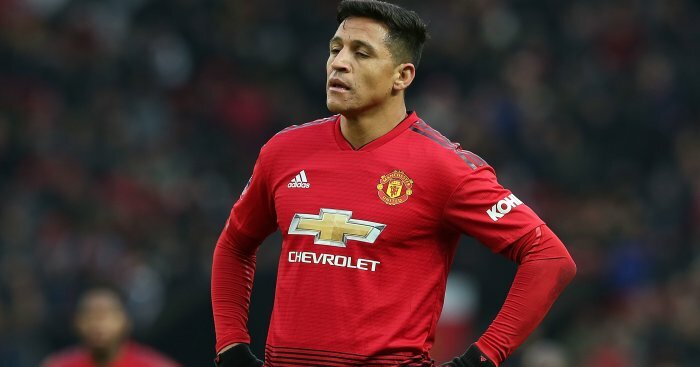 The post Man Utd prioritise €60m Italy winger as Alexis Sanchez replacement appeared first on teamtalk.com.